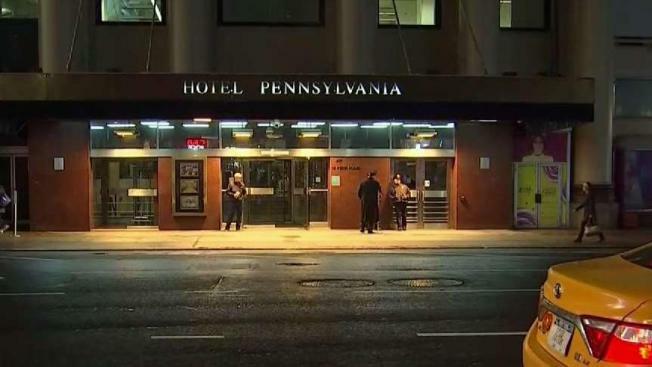 Two women who appeared to be intoxicated were taken into custody after a baby found unconscious at a Midtown hotel died, police said. 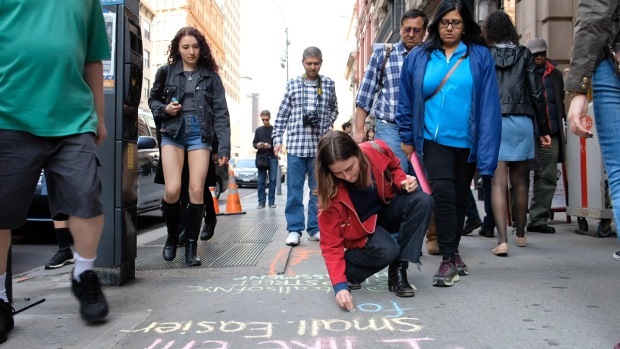 An employee at the Hotel Pennsylvania, on Seventh Avenue near West 33rd Street, called police around 1:10 a.m. on Saturday after noticing that the 4-month-old boy wasn't moving while the women were trying to book a room. When officers arrived, they found the baby, identified by police as Dominic Greene, of Delaware, unconscious and unresponsive, the NYPD said. Dominic, who didn’t have any obvious signs of trauma, was taken to NYU Medical Center, where he was pronounced dead, police said. Dominic's 24-year-old stepsister and her 26-year-old partner were taken into custody at the hotel, the NYPD said. Police said the women were practically incoherent when officers arrived and that drugs were found at the scene. Police didn’t immediately provide additional details about the circumstances surrounding the baby’s death or identify those in custody. The Hotel Pennsylvania was built nearly a century ago as a companion to nearby Pennsylvania Station. It was made famous by the Glenn Miller hit "Pennsylvania 6-5000." It could soon face the wrecking ball. A developer has floated the idea of building a skyscraper on the site.